Nickel UNS N02201 Coils, Nickel Alloy 201 Sheets, Nickel DIN 2.4060 Coils, Nickel 201 Plates, Nickel 201 Coils, Nickel DIN 2.4068 Sheets, Nickel Werkstoff Nr. 2.4068 Plates, Nickel UNS N02201 Plates, Nickel UNS N02201 Sheets, Nickel 201 Plates Supplier in Mumbai, India. 201 Nickel Polished Cold Drawn Plates, Stockist of Nickel 201 Plates, Specialist of Nickel Alloy 201 Slatting Coils, 201 Nickel Alloy Plate Exporter, Nickel GOST НП-2 Sheets Stockist, Nickel JIS NW 2201 Plate, ASTM B162 Nickel 201 Coils, Alloy 201 Hot Rolled Plates, Nickel 201 Werkstoff No 2.4068 Sheets, Alloy 201 Shim Sheets, ASME SB162 Nickel N02201 Sheets, Leading Supplier of Nickel 201 Plate Dealer in India. 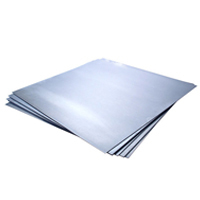 The Nickel 201 Sheets plates coils are resistant to the attack of nitric acid and phosphoric acid. They don’t show any changes when they examined with a weak base like ammonium hydroxide. The Sheets and Plates of nickel 201 remain unaffected even at high-temperature conditions and concentrations. They not even experience cracking and etching under high-temperature environments and when are exposed to solutions of sodium hypochlorite. They hold poor electrical conductivity as compared to the copper. The perforated coils may suffer corrosion but the physical and chemical properties protect the alloy from corrosions. At room temperature, they are resistant to acids such as the sulphuric acid even when the concentration is high. The alloy 201 sheets are best for storing and handling. When aerated and combined with formic acid they provide the highest corrosion resistance. Some of the known sizes are 1000x2000mm, 1500x3000mm, and 2000x4000mm. Coils, shim sheet strip, blank and polls are some of its known forms. Hot rolled plate, SATIN and BA NO (8) are its finishing. They are available in soft, quarter hard, hard and spring harnesses. Nickel 201 Foils, 201 Nickel foils, Nickel WERKSTOFF NR, ASME SB162 and nickel UNS N02201 are some of its foil types. The 201 Nickel Coils, Nickel UNS N02201, ASTM SB162 are some of the coils types. The plates are used in power generation, gas processing, chemical equipment, heat exchanger and pharmaceutical equipment industries. 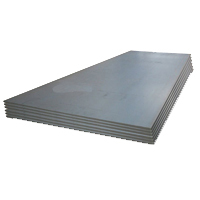 The Jaiman industry is one of the certificated industries with best Nickel alloy plates and sheets. 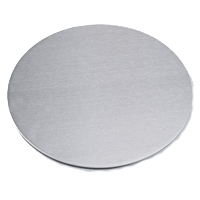 The durability and quality of the plates plays important role in applications. Nickel Alloy 201 Sheets, Plates & Coils are extensively applied in extremely corrosive conditions in the below Industries.